As the copper industry embarks on a new cycle and new projects become incentivised this session discusses some of the key reasons behind the pitfalls of the past and proposes a range of possible solutions. Where do we currently stand in the industry in terms of budget allocation for exploration? What are the risks and rewards of joint ventures and strategic partnerships in exploration? Should the mining companies be investing in maintaining their exploration budgets over the mining cycles? How do existing and potential copper mining countries compare in terms of political stability, mineral legislation, taxation, environmental legislation and societal factors. What are the investment incentives needed to increase exploration projects? What are the business models that the industry should introduce to stimulate exploration? What are the best strategies for purchase and sale of exploration projects and what is the outlook for M&A? Which exploration technologies are showing the greatest promise in identifying new deposits and driving costs down? What can greater digital effectiveness bring to the mining exploration industry? What could be the role of new technology in speeding up exploration in under-explored regions? What are the best practices in achieving community acceptance and participation at the early stages of Exploration projects? More automation may change the relationship between miners, governments and communities. What steps are being taken to mitigate conflicts in the future? What can be done to stimulate exploration and expedite development? Investigating best practice in productivity globally, to what extent are lessons transferable? What steps are miners taking to cultivate relationship with unions and local communities? Can gains in energy and water efficiency, process productivity, predictability, environmental protection, mine reliability, asset management and safety offset these costs? Will China close the gap between mine and refined output and refined output and consumption? What impact will the concentrates deficit have on TC/RCs, smelters and smelter projects, and demand for scrap and complex concentrates? What do we know about Chinese overseas investment and its impact on the market balance? What is the status of the proposed US infrastructure bill and how would this affect the copper market? To what extent will electric vehicles improve the demand outlook? Mike Wyrsta, CEO, Lixivia Inc.
CRU Consulting panel discussion - Will electric mobility transform future copper markets? What are the implications of EVs for copper demand? How will demand growth for “battery” metals such as Cobalt and Nickel impact copper production? What do these changes mean for future incentive prices and copper market investment? Abraham Chahuan, Chief Executive Officer, Compania Minera Antamina S.A.
How long can traded markets remain tight and support price levels? How do the market dynamics of metals and fertilizer sectors influence the outlook for sulphuric acid? Will higher copper prices elicit a supply side response? As Chilean EW output falters, what is the potential in other regions like the US, Mexico, Peru or the DR Congo? Long-term opportunities and challenges for EW production. Diego Hernández holds a degree in Civil Mining Engineering from the École Nationale Supérieure des Mines de Paris (Mines ParisTech), in France, validated by both Universidad de Chile and Universidade Federal de MG (Brazil). From 1973 to 1985, he held several positions in mining companies in Chile as well as in Brazil. 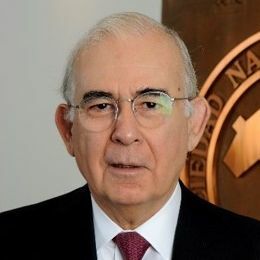 From 1985 to 1988, Diego Hernández was Technical Director of Rio Tinto Group, in Brazil, and from 1988 to 1996, Mr. Hernández occupied several senior positions within Anglo American PLC Group in Chile, including CEO of Compañía Minera de Mantos Blancos. 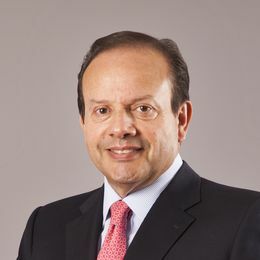 Between 1996 and 2001, Diego Hernández was CEO of Compañía Minera Doña Inés de Collahuasi, a major Chilean copper mining joint venture. From 2001 to 2004, he was Non-Ferrous Executive Director of Vale do Rio Doce (VALE) and, from 2004 to 2010, President of BHP Billiton Base Metals. From 2010 to May 2012, he was appointed Executive President of CODELCO - Chile, which is the world’s largest copper producer. From August 2012 to September 2014 he was CEO of Antofagasta Minerals and from September 2014 to April 2016 CEO of Antofagasta plc. a Chilean-based copper mining group. Currently he is Chairman at SONAMI (Chilean Chamber of Mines) and Director at Nexa Resources. Mining Engineer, University of Chile (1978). During his career, he has worked in Compañía Minera del Pacífico, Codelco-Chile Salvador Division, Los Pelambres Mining Company and Metálica Consultores, specializing in strategic mine planning and mining projects management. He has graduate studies as Ingénieur Expert in Tecniques Minières, School of Mines de Nancy (Cestemin) and a Diplome D'Etudies Approfondie (DEA), Génie Géologique et Minière, National Polytechnic Institute of Lorraine, France. He was Professor of the courses "Mining Projects" and "Mine Planning", in the Mines Department of the Faculty of Physical Sciences and Mathematics, University of Chile. He was appointed Chairman of the Board of Enacar S.A. and Carvile S.A., gaining important knowledge in the management of mining companies in the public domain. Additionally, he was a Director of the Minera El Tesoro Board. He received the "Distinguished Professional Award" awarded by the Institute of Mining Engineers of Chile in 2004. He holds certification as “Competent Person” by the Comisión Calificadora de Recursos y Reservas Mineras de Chile. Since October 2014 he holds the position of Senior Vice-President Mining Resources Management and Development in Codelco, responsible for the geological exploration and long-term strategic planning of mining resources of that company. Ingeniero de Minas, Universidad de Chile (1978). Durante su trayectoria profesional, ha trabajado en la Compañía Minera del Pacífico, Codelco-Chile División Salvador, Compañía Minera Los Pelambres y Metálica Consultores, especializándose en la planificación minera estratégica y gestión de proyectos mineros. Cuenta con estudios de postgrado tales como Ingeniero Experto en Técnicas Mineras de la Escuela de Minas de Nancy (Cestemin) y un Diploma de Estudios Profundizados (DEA) en Ingeniería Geológica y Minera del Instituto Politécnico Nacional de Lorraine, Francia. Ha sido docente en los cursos de “Proyectos Mineros” y “Planificación Minera” del Departamento de Ingeniería de Minas de la Facultad de Ciencias Físicas y Matemáticas, Universidad de Chile. Fue nombrado presidente del Directorio de Enacar S.A. y Carvile S.A., obteniendo conocimientos importantes en la gestión de empresas mineras en el dominio público. Adicionalmente, fue Miembro del Directorio de Minera El Tesoro. Recibió el "Premio Profesional Distinguido" del Instituto de Ingenieros de Minas de Chile en 2004. Cuenta con la certificación de “Persona Competente” de la Comisión Calificadora de Recursos y Reservas Mineras de Chile. Desde octubre de 2014, tiene el cargo de Vicepresidente Senior de Gestión de Recursos Mineros y Desarrollo en Codelco, y es responsable de la exploración geológica y planificación estratégica de largo plazo de los recursos mineros de esta empresa. Angelo is a geologist graduated from the Universidad del Norte and is currently the Exploration Manager at Sumitomo Metal Mining Chile, a position he has occupied for the past 6 years. Previously, he worked as the Vice President of Exploration in Coro mining, developing projects in Chile and Argentina. 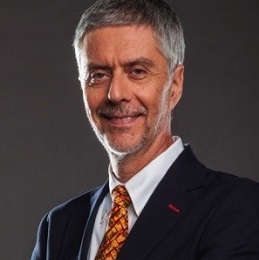 During his career of more than 30 years, he has worked for major international companies in exploration, including Vale as a business manager, and Phelps Dodge where he worked for 6 years as Manager of exploration in Chile and Peru, having the supervision of works exploration in Ecuador among others. Angelo es Geólogo titulado de la Universidad del Norte y actualmente es el Gerente de Exploraciones de Sumitomo Metal Minig Chile, cargo que ha ocupado durante los últimos 6 años. Anteriormente, trabajó 5 años como Vicepresidente de Exploraciones en Coro Minig, desarrollando proyectos en Chile y Argentina. Durante su carrera de más de 30 años, ha trabajado para importantes empresas internacionales de exploración, incluyendo Vale como Gerente de Negocios, y en Phelps Dodge donde trabajó 6 años como Gerente de Exploración en Chile y en Perú, teniendo la supervisión de trabajos de exploración en Ecuador entre otros. 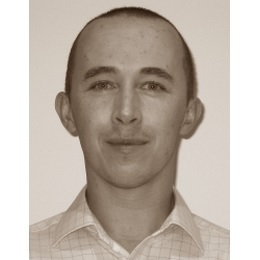 Hamish Sampson is a Consultant in the Copper Team at CRU, and a specialist on the supply side. He has worked at CRU since 2016 and has contributed to a range of products across the business, providing in-depth research and analysis. 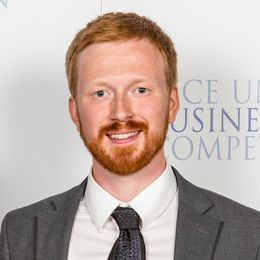 Hamish joined CRU after completing an MSc in Mining Geology at Camborne School of Mines, following three years in the Australian Mining Industry. Hamish Sampson es Consultor del Equipo de Cobre de CRU, especializándose en el aspecto del suministro. Trabaja en CRU desde 2016, y ha contribuido a un rango de productos de la empresa, entregando investigación y análisis profundos. Hamish se unió a CRU después de obtener una MSc en Geología Minera de la Escuela de Minas de Cambourne, tras tres años de experiencia en la industria minera en Australia. Jason es un geólogo de exploración con 20 años de experiencia en una amplia variedad de tipos de materias primas y depósitos con una especialización en oro y cobre. Tiene una extensa trayectoria de gestionar equipos de exploración de manera exitosa, trabajando con una amplia variedad de culturas en terrenos desafiantes y ubicaciones remotas alrededor del mundo incluyendo la Cuenca del Pacífico Sur, el Medio Oriente, América Central y Sudamérica, Asia Sudoriental y el Ártico. Jason es Gerente de Exploración en el Proyecto el Cascabel así también como Gerente Nacional Ecuatoriano de SolGold y Presidente del Proyecto Holding del Cascabel, Exploraciones Novomining S.A. (ENSA), donde SolGold es el propietario del 85%. Jason ha trabajado para SolGold desde sus inicios, desempeñando un papel líder en la exploración de los proyectos fundadores de la Compañía en las Islas Salomón. Durante los últimos 20 años ha desarrollado habilidades sobresalientes en relaciones con los propietarios de los terrenos, desarrollo de la fuerza de trabajadores locales y dirección tanto de exploración como de proyectos y está aplicando estos talentos en Cascabel para beneficiar aún más a SolGold. 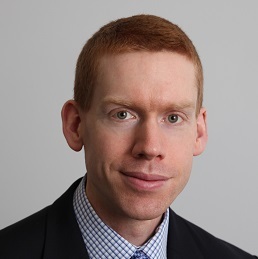 Fred McMahon manages the Fraser Institute’s international economic projects and policy research, including the Economic Freedom of the World Annual Report and the Economic Freedom Network of independent think tanks in over 90 nations and territories. In cooperation with many international partners, he has co-organized economic reform projects in Côte d'Ivoire, Iran, Oman, Jordan, Panama, Argentina, Tunisia, Egypt, Guatemala, Uruguay, the Kyrgyz Republic, Venezuela and Morocco. He managed the institute’s natural resource center until 2014 and continues to study and speak on natural resource issues as part of his international policy work. Fred McMahon gestiona los proyectos económicos internacionales y la investigación en políticas del Fraser Institute, incluyendo el Informe Anual de Libertad Económica en el Mundo y la Red de Libertad Económica, conformada de Think Tanks independientes en más de 90 naciones y territorios. En colaboración con sus socios internacionales, ha coorganizado proyectos de reformas económicas en Côte d'Ivoire, Irán, Omán, Jordania, Panamá, Argentina, Túnez, Egipto, Guatemala, Uruguay, la República Kyrgyz, Venezuela y Marruecos. Fue el gerente del centro de recursos naturales del instituto hasta 2014, y sigue estudiando y exponiendo sobre temas de recursos naturales como parte de su trabajo en políticas internacionales. 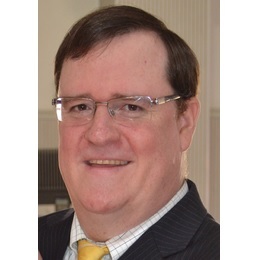 Michael Cullen is a Senior Partner, responsible for the management of the company’s Bogotá operations and the development, management and delivery of projects for global and local clients operating in the region. Additionally, Michael is responsible for Control Risks’ Global Services department for South America. 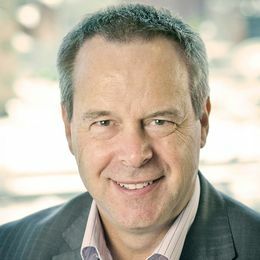 Michael was responsible for the delivery of Control Risks’ corruption and investigative-related services in Australia and Asia. 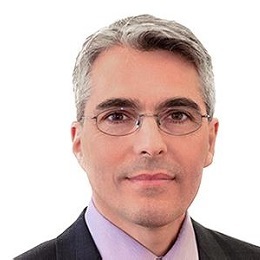 Michael has worked in the European, Africa and Middle East fraud investigations area, formed and then headed the Global Services team for New York and Eastern Canada, and acted as the Global Managing Director for Control Risks’ Legal Technologies business. Michael completed a Master of Arts degree in International Relations at Cambridge University. He holds Diploma in Government (Fraud Investigations & Fraud Prevention) and a Certificate IV qualification in Risk Management. Michael attended the Leadership in Crises program at Harvard University’s John F. Kennedy School of Government. He is a Certified Fraud Examiner (CFE) and a Certified Anti-Money Laundering Specialist (CAMS). Michael is a regular conference presenter and media commentator on political, security and integrity risks. Michael Cullen es Socio Principal responsable de la gestión de las operaciones de la empresa en Bogotá y el desarrollo, gestión y entrega de proyectos para clientes globales y locales con operaciones en la región. Adicionalmente, Michael tiene el cargo del departamento de Servicios Globales de Control Risks en Sudamérica. Michael fue responsable del desarrollo de los servicios relacionados con la corrupción e investigación en Australia y Asia. Se desempeñó en el área de investigaciones de fraude en Europa, África y el Medio Oriente, formó y posteriormente dirigió el equipo de Servicios Globales para Nueva York y el Este de Canadá, y actuó como Director Ejecutivo Global para el área de Tecnologías Legales de Control Risks.> Michael cuenta con un Magíster en Relaciones Internacionales de la Universidad de Cambridge. Tiene un Diplomado en Gobierno (Investigaciones y Prevención de Fraude) y una certificación nivel IV en Gestión de Riesgos. Michael participó en el programa de Liderazgo en Crisis en la Escuela de Gobierno John F. Kennedy de la Universidad de Harvard. Es Examinador de Fraude Certificado (CFE) y Especialista en Prevención del Lavado de Dinero (CAMS). Michael es un expositor frecuente en las conferencias y un comentarista en temas de riesgo político, de seguridad e integridad en los medios de comunicación. Daniela Desormeaux is the CEO and Founder of signumBOX Inteligencia de Mercados. SignumBOX is a Chilean Consultant Company focus in Market Intelligence in natural resources, with a strong knowledge of lithium, copper, cobalt, graphite, among others. She is an Economist with a MSc in Economics from Pontificia Universidad Católica de Chile. - Founder of signumBOX Inteligencia de Mercados in 2009. - Professor of Macroeconomics and Microeconomics, MBA of the Universidad del Desarrollo, Chile. - Member of CESCO (Centro Estudios del Cobre y la Minería, Copper and Mining Center Studies). - Member of the National Lithium Commission of Chile in 2014, named by Michele Bachelet, President of Chile. Prior to signumBOX she worked at SQM as Strategic Market Manager for Iodine, Lithium and Industrial Chemicals. 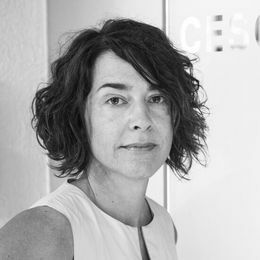 Daniela Desormeaux es la CEO y Fundadora de SignumBOX Inteligencia de Mercados. SignumBOX es una empresa consultora chilena con un enfoque en la Inteligencia de Mercados en recursos naturales, con una sólida base de conocimientos del litio, cobre, cobalto, grafito, entre otros. Es Economista con una MSc en Economía de la Pontificia Universidad Católica de Chile. - Fundadora de signumBOX Inteligencia de Mercados en 2009. - Profesora de Macroeconomía y Microeconomía para el programa de MBA de la Universidad del Desarrollo, Chile. - Miembro de CESCO (Centro Estudios del Cobre y la Minería). - Miembro de la Comisión Nacional del Litio de Chile en 2014, nombrada por Michelle Bachelet, ex presidente de Chile. José Joaquín Jara is an industrial and mining engineer, holds a MSc mineral economics and is finishing a PhD in economic geology. He has more than 10 years of professional experience in government offices, private companies and the academia, all related to the mining industry. Currently Mr. Jara is Assistant Professor of the Mining Department at the Pontificia Universidad Católica de Chile and he is member of the board of the Centro de Estudios del Cobre y la Minería (Cesco), the most renowned think tank related to the mining industry in Latin America. His areas of expertice are mineral economics, technical and economic evaluation of mining projects and economic geology. 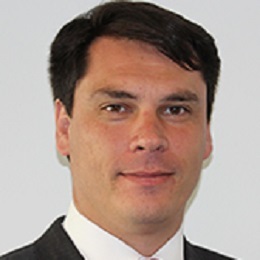 Martin Valdes joined RCF in charge of the Latin American office in 2015 following a fifteen year investment banking career that included positions at J.P. Morgan and Citigroup in New York and as a Partner of Hudson Bankers, a Latin American M&A boutique based in Chile. During all this time he conducted several M&A and other transaction advisory services across Latin America, North America and Europe. Mr Valdes has an MBA with distinction from the University of Michigan Business School and a Bachelor of Science in Business Administration from the Universidad Catolica de Chile. El Sr. Valdés se unió a RCF a cargo de la oficina de Latinoamerica en 2015, luego de una trayectoria de quince años en bancas de inversiones, incluyendo cargos en J.P. Morgan y Citigroup en Nueva York y como Socio de Hudson Bankers, empresa boutique de fusiones y adquisiciones de Latinoamérica con base en Chile. Durante este tiempo, dirigió varias fusiones y adquisiciones y otros servicios de asesoría en transacciones en Latinoamérica, Norteamérica y Europa. Sr. Valdés es Ingeniero Comercial de la Pontificia Universidad Católica de Chile y cuenta con un MBA con distinción de la Escuela de Negocios de la Universidad de Michigan. 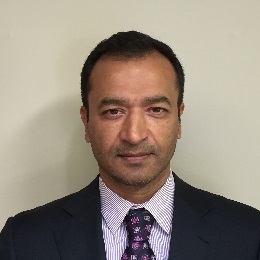 Joe Mazumdar has been Co-editor and Analyst at Exploration Insights since December 2015. 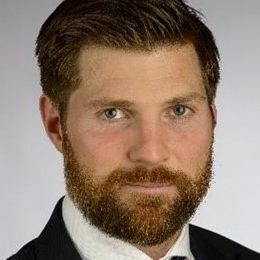 Previously, he spent six years as senior mining analyst at Haywood Securities and Canaccord Genuity in Vancouver, and another six years as Director of Strategic Planning, Corporate Development at Newmont Mining (Denver) and Senior Market Analyst/Trader at Phelps Dodge (Phoenix). Before becoming a mining market analyst, Joe also worked for 12 years as an exploration geologist in different capacities for IAMGOLD, North Minerals, and RTZ in South America, and MIM Exploration in Queensland, Australia. He has a BSc in Geology (1988) from the University of Alberta, an MSc in Geology and Mining (1997) from James Cook University (Queensland), and an MSc in Mineral Economics (2003) from the Colorado School of Mines. Joe Mazumdar ha sido Coeditor y Analista de Exploration Insights desde diciembre de 2015. 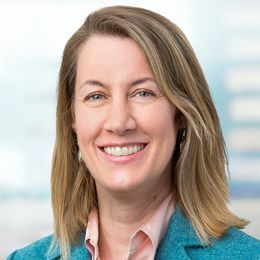 Anteriormente, se desempeñó durante seis años como analista senior de minería en Haywood Securities y Canaccord Genuity en Vancouver, y otros seis años como Director de Planificación Estratégica y Desarrollo Corporativo en Newmont Mining (Denver) y Analista/Corredor de Mercados Senior en Phelps Dodge (Phoenix). Antes de convertirse en analista de mercados mineros, Joe trabajó durante 12 años como geólogo de exploración en diferentes capacidades para IAMGOLD, North Minerals y RTZ en Sudamérica y MIM Exploration en Queensland, Australia. Es Geólogo (1988) de la Universidad de Alberta, con una MSc en Geología y Minería (1997) de la Universidad James Cook (Queensland) y una MSc en Economía de Minerales (2003) de la Escuela de Minas de Colorado. Robert Edwards has twenty years of experience in the metals and mining industry. Between 1996 and 2004 worked at CRU focusing on the specialty steel and associated materials sectors. Subsequently, he worked for two years as group economist at the steel producer Corus / Tata Steel Europe, in London. In 2007, Robert returned to CRU where he worked on a variety of single client projects related to steel and steelmaking raw materials. In 2010, he took charge of CRU's North American steel flat products research, with editorial responsibility for the company's flagship Steel Sheet Monitor and Market Outlook publications. In November 2012, Robert assumed responsibility for developing copper mining costs in CRU's base metals unit. After a successful three and a half years in this role, he transitioned to a new position in the first half of 2016, covering global copper demand and markets. Robert Edwards cuenta con veinte años de experiencia en la industria de minería y metales. Entre 1996 y 2004, se desempeñó en CRU, con un enfoque en los sectores de aceros especiales y materiales asociados. Posteriormente, fue economista del grupo en el productor de acero Corus / Tata Steel Europe, en Londres. En 2007, Robert volvió a CRU, donde trabajó en una variedad de proyectos para clientes individuales en relación con el acero y la materia prima para la industria del acero. En 2010, asumió el cargo de la investigación de productos planos de acero en Norteamérica para CRU, con responsabilidad editorial de las publicaciones insignia de la empresa, Steel Sheet Monitor y Market Outlook. En noviembre de 2012, Robert asumió la responsabilidad del desarrollo de costos de la minería de cobre en la unidad de metales base de CRU. Luego de tres años y medio de éxito en este cargo, cambió a un nuevo puesto en la primera mitad de 2016, con responsabilidad de la demanda y mercados globales de cobre. Cecilia Jamasmie, news editor at MINING.com, has over 20 years of experience in print media, TV, online media and public relations. She is particularly interested in Corporate Social Responsibility (CSR), the diamond sector, and the Latin American market. Cecilia has been interviewed by BBC News and CBC among others major news outlets. She has also been syndicated by Forbes, Seeking Alpha and BIV and been a guest speaker at mining conventions, such as MINExpo 2016. She holds a Master of Journalism (MJ) from the University of British Columbia, Canada, and she is currently based in Halifax, Nova Scotia. Cecilia Jamasmie, editora de noticias de MINING.com, cuenta con más de 20 años de experiencia en medios de prensa, TV, medios en línea y relaciones públicas. Tiene un interés especial en la Responsabilidad Social Corporativa (RSE), el sector de diamantes y el mercado latinoamericano. Cecilia ha sido entrevistada por BBC News y CBC, entre otros medios de prensa importantes. Ha sido columnista sindicado en Forbes, Seeking Alpha y BIV y expositora invitada en congresos mineros tales como MINExpo 2016. Cuenta con un Magíster en Periodismo (MJ) de la Universidad de British Columbia, Canadá, y actualmente trabaja desde Halifax, Nueva Escocia. 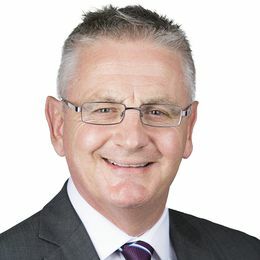 Charles Moore, Director, Resource Information, is leading the development and implementation of South Australia’s Copper Strategy. Charles is working with industry, researchers, community and government agencies to deliver the benefits and outcomes, including oversight of South Australia’s Copper Development Road Map. He works in the Mineral Resources Division of the South Australian government, which is responsible to manage and regulate the State’s mineral sector, provide pre-competitive geosciences and work with industry and the community to maximize the benefits from the State’s resources portfolio. He previously worked in a number of executive corporate strategy and change management roles. Charles has a Masters of Public Administration and a Bachelor of Forest Science (Hons). Charles Moore, Director de Información de Recursos, encabeza el desarrollo y aplicación de la Estrategia del cobre de Sud Australia. Charles está trabajando con la industria, investigadores, comunidad y agencias del gobierno para entregar los beneficios y resultados, incluyendo la supervisión del “road map” del desarrollo del cobre de Sud Australia. Él trabaja en la División de Recursos Minerales del Gobierno de Sud Australia, que se encarga de gestionar y regular el sector minero del Estado, el proporciona las geociencias pre-competitivas y trabaja con la industria y la comunidad para maximizar los beneficios de la carpeta de recursos del Estado. Anteriormente trabajó en varios puestos ejecutivos de cambio de estrategia corporativa y cambios administrativos. Carlos posee una Maestría en Administración Pública y una Licenciatura de Ciencia Forestal (Hons). 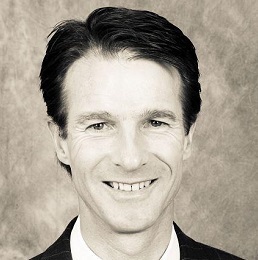 Mark Gibson is the Chief Operating Officer of HPX. He has a similar role with two HPX-associated companies — Kaizen Discovery (TSX-V: KZD) and Cordoba Minerals (TSX-V: CDB). Mr. Gibson joined HPX in 2011 as the company’s founding Executive. He was instrumental in the formation of Kaizen Discovery in 2013, and HPX’s strategic partnership with Cordoba Minerals. Before joining HPX, Mr. Gibson worked with Anglo American, and was the founder of a geophysical service company focused on managing seismic surveys for the mining industry. He has more than 26 years of wide-ranging experience as a geoscientist and manager in the natural resources sector. Mark Gibson es el Director de Operaciones de HPX. Ha desempeñado un cargo similar en dos empresas asociadas a HPX — Kaizen Discovery (TSX-V: KZD) y Cordoba Minerals (TSX-V: CDB). Sr. Gibson se unió a HPX en 2011 como Ejecutivo fundador de la empresa. Ha sido instrumental en la fundación de Kaizen Discovery en 2013, y en la asociación estratégica de HPX con Cordoba Minerals. Antes de incorporarse a HPX, Sr. Gibson trabajó en Anglo American y fue fundador de una empresa de servicios de geofísica enfocada en la gestión de estudios sísmicos para la industria minera. Cuenta con más de 26 años de experiencia de gran alcance como geocientífico y gerente en el sector de recursos naturales. 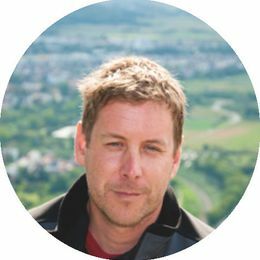 Sam is the geochemist for Corescan, a hyperspectral core imaging company and service provider out of Perth, Australia. She received her B.Sc. and M.Sc. in Earth and Planetary Sciences with an emphasis in geochemistry and volcanology from McGill University (Montreal, Canada). In the past five years she has worked in the mineral resource sector as a geochemist, most recently exploring the linkages between geochemistry, geostatistics and spectroscopy, including the incorporation of these fields in big data programs in exploration and mining. Sam es geoquímica de Corescan, empresa de imágenes hiperespectrales de muestras de perforación con base en Perth, Australia. Recibió su BSc y MSc en Ciencias de la Tierra y Planetarias con un énfasis en geoquímica y vulcanología de la Universidad McGill (Montreal, Canadá). En los últimos cinco años ha trabajado como geoquímico en el sector de recursos minerales, donde su trabajo más reciente ha explorado los nexos entre la geoquímica, geoestadística y espectroscopia, incluyendo la incorporación de estos campos a programas de big data en minería y exploración. Rolando started his career with CRU Analysis in 2008, working in the Steel team in London, specifically in the design and development of the nickel industry cost model (Nickel & Chrome team). After this, Rolando joined the CRU Consulting team in Santiago and participated in several projects for mining producers and investment entities in Chile and Latin America, mainly focused on performance improvement, cost analysis and risk assessments. Later he worked for another company in Chile, providing consulting to major mining operations and government entities, including risk management, mining project evaluation, real option valuation, stochastic analysis for strategic mine plan selection, mine evaluation tools and technical tender design for the Chilean government. 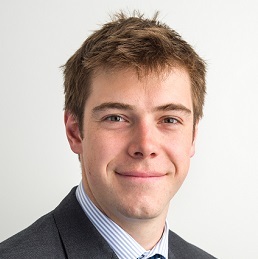 After this he returned to CRU Consulting in 2012, where he has been involved in leading projects on strategic decision making for metal producing companies, mainly South America, market studies for various metal commodities, opex benchmark analysis and copper marketing modelling. Rolando leads and manages the delivery of all studies in Santiago related to operational benchmarks and assessments in mining and metallurgy. Rolando holds a BSc in Industrial Mining Engineering and an MEng in Mineral Economics from the Catholic University of Chile. He is fluent in Spanish and English and has conversational Portuguese. Mr Janse van Rensburg has extensive experience in planning and coordinating large scale resources projects in Africa in a career spanning more than 25 years. Jacques joined MOD Resources as General Manager Exploration (Africa) in 2011 and is currently the company's Business Development Manager. He has been an integral team member in the discovery of the T3 deposit and its subsequent maiden resource and positive scoping study. 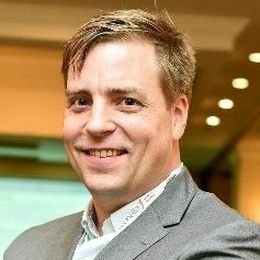 Prior to MOD, Jacques was the Project Manager for New Hana Copper Mining and Canadian based Hana Mining Ltd.
A strategic thinking mining industry executive with over 26 years global experience with demonstrated success in the capital markets, having raised over $300 million in financing transactions. A multilingual professional with first hand experience in leading multicultural teams of senior management and professionals based in overseas operations. Luquman has led Panoro Minerals Ltd., advancing the company’s exploration and development projects. He has demonstrated success in raising significant financing through focused and well-articulated corporate plans built upon a strong strategic outlook. Under his leadership Panoro has invested $55 million in exploration at two principal projects in Peru where the resource base increased 500% over 4 years demonstrating over $900 million of project valuation. Ejecutivo de pensamiento estratégico en la industria minera con más de 26 años de experiencia a nivel global, con éxito comprobado en los mercados de capitales, recaudando más de $300 millones en transacciones de financiamiento. Profesional multilingüe con experiencia personal en el liderazgo de equipos multiculturales de altos gerentes y profesionales en operaciones en el exterior. Como Presidente de Panoro Minerals Ltd., Luquman ha logrado avances importantes en los proyectos de exploración y desarrollo de la empresa. Ha demostrado éxito en la financiación a través de planes corporativos enfocados y bien articulados construidos sobre la base de una fuerte proyección estratégica. Bajo su liderazgo, Panoro ha invertido $55 millones en la exploración en dos proyectos principales en Perú, en donde la base de recursos ha incrementado en un 500% en 4 años, con una valoración actual de $900 millones.
? Understand material risks (identify, analyze and evaluate).
? Embed critical controls (verify, measure, report). 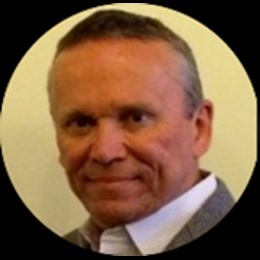 A former mining executive and experienced strategic advisor, Dana has more than 25 years of international experience in the Americas, Asia Pacific, Australia and Europe. Experienced in executive and board-level engagements, Dana was a member of the Xstrata Board HSEC Committee, 2011-12. Claudia Monreal, Mining Engineer, Master on business with 24 years of experience and an spacialitation on Geostatistics. He has been an international consultant of resources and reserves for metallic and non-metallic mining industry for more than 20 years. Currently, Manager of Core Mining Studies, he leads a group of 12 senior professionals, who provide specialized consulting of resources and reserves and teach at Universidad Adolfo Ibañez. Her time in different countries developing her porfession has allowed her to see different realities of mining from a technical and human perspective. In 2007 living in Australia enrolle at Women in Mining, motivating her to found on 2014 Women in Mining Chile. Wim Chile since 2014 to date brings together more than 2,500 women who work for the Chilean mining Industry. Claudia is part of the directory of the civil council of the Ministry of Mining and several tables for inclusion of the Ministry along Chile, in her role as President of the group. WOMEN IN MINING CHILE seeks to support the professional development of women working in Mining, as a way to accelerate the process of inclusion through intensifying peer-to-peer contact, making civil society aware of female labor participation in mining industry and developing contact points, proactive enviroment and activities between industry and society that allow an open dialogue on how to implement female labor inclusion effectively and sustainably. Claudia Monreal, Ingeniero de Minas de 24 años de experiencia con especialidad en Geoestadística. Ha sido consultor internacional de recursos y reservas para la industria metálica y no metálica por mas de 20 años. Actualmente como Gerente de Core Mining Studies lidera un grupo de 12 profesionales senior, que proveen consultoría especializada de recursos y reservas. Su paso por distintos países desarrollando su actividad le ha permitido ver distintas realidades de la minería desde le punto de vista técnico como humano. El 2007 Australia conoce la organización de Women in Mining, motivándose así, a fundar el 2014 Women in Mining Chile. Esta agrupación desde el 2014 a la fecha congrega a mas de 2500 mujeres que trabajan para la minería nacional en todos los ámbitos de la actividad. Claudia forma parte del directorio del consejo civil del ministerio de Minería y de las mesas de inclusión del Ministerio, en su rol de Presidenta de la agrupación. WOMEN IN MINING CHILE busca apoyar el desarrollo profesional de las mujeres que trabajan en Minería, como una forma de acelerar el proceso de inclusión a través de intensificar el contacto entre los pares, visibilizar a la sociedad civil la participación laboral femenina en nuestra industria y desarrollando actividades de encuentro entre la industria y la sociedad que permitan un dialogo abierto en el como ejecutar la inclusión laboral femenina de manera efectiva y sostenible. 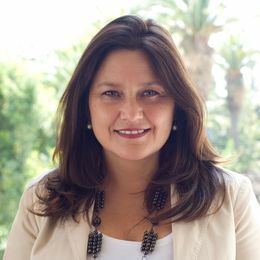 Alejandra Sepúlveda is the Executive Director of ComunidadMujer since 2010. She currently serves in the Undersecretariat of Labor's Civil Society Advisory Council, in the Gender Council of the Undersecretariat of Economy, in the Board of Prodemu Foundation and she is also part of the directory of the Institutional Project for Territorial Dialogue of "Valor Minero". 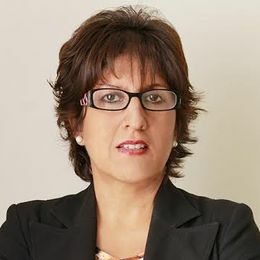 From ComunidadMujer, she leads the Executive Secretariat of the Gender Parity Initiative (IPG Chile), a public-private partnership promoted by the Inter-American Development Bank (IADB) and the World Economic Forum (WEF), which brings together in a collaborative work the state, business and civil society, in pursuit of the objective to close the economic gender gaps in Chile. She is a regular columnist and spokesperson in the media and a speaker at national and international seminars and forums. She is a member of the jury that evaluates the best practices of the companies that adhere to the Global Compact Network in Chile, and a jury of the InspiraTec Award, given by the Undersecretary of Economy. 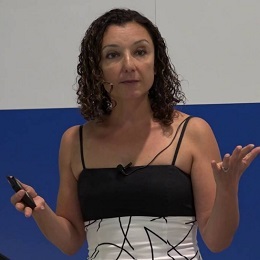 Alejandra is a journalist, with a degree in Social Communication at the Diego Portales University, she has a master degree in International Relations at the Ortega y Gasset Foundation in Madrid (Spain) and a degree in Marketing at the Adolfo Ibáñez University. Alejandra Sepúlveda es Directora Ejecutiva de ComunidadMujer desde 2010. Actualmente integra el Consejo Consultivo de la Subsecretaría del Trabajo, el Consejo de Género de la Subsecretaría de Economía, es directora de Fundación Prodemu y es parte del directorio del Proyecto Institucionalidad para el Diálogo Territorial de Valor Minero. Desde ComunidadMujer lidera la Secretaría Ejecutiva de la Iniciativa Paridad de Género, alianza público privada, impulsada por el Banco Interamericano de Desarrollo y el Foro Económico Mundial, que reúne en un trabajo colaborativo al Estado, la empresa y la sociedad civil, en pos del objetivo de cerrar las brechas económicas de género en Chile. Es vocera y columnista habitual en medios de comunicación y expositora en seminarios y foros nacionales e internacionales. Asimismo, es integrante del jurado que evalúa las mejores prácticas de las empresas adheridas a la Red de Pacto Global en Chile, y jurado del Premio InspiraTec, que entrega la subsecretaría de Economía. Alejandra es periodista, licenciada en Comunicación Social de la Universidad Diego Portales, cursó un magister en Relaciones Internacionales de la Fundación Ortega y Gasset en Madrid (España) y es diplomada en Marketing de la Universidad Adolfo Ibáñez. Laura Mottola is the President and CEO of Flow Partners Inc., a Canadian consulting company with operations in Chile, and Director of Great Lakes Graphite Inc., a company listed on the Toronto Stock Exchange. She is recognized globally as a leader in Lean Mining®, Mining Automation, Technology and Innovation in the natural resources sector. 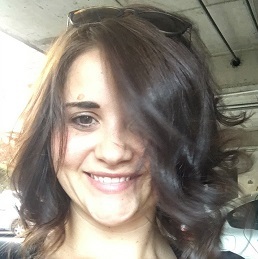 Laura is a mining engineer with a Masters of Engineering in Mining Automation from McGill University. A seasoned professional and business leader with more than 20 years of global experience in mining, Laura was named one of 100 most inspirational women in mining by Women in Mining UK. Among many projects Laura developed and led a company-wide Business Improvement program based on Lean principles and statistical process control tools to develop a culture of operational excellence across open pit and underground mine sites in North and South America for Quadra FNX Mining Ltd. Currently Laura is leading an Operational Excellence program with a Lean foundation across operations at Sherritt International in Canada and Cuba. Laura is dedicated to Lean Mining®, Innovation, and development integration of concepts from other industries, and multidisciplinary approach strategies. She is passionate about increasing productivity, social, environmental responsibility and teamwork in mining. Laura brings the multidimensional leadership and vision needed to generate dynamic and diverse opportunities in the mining sector. Laura has personally worked with clients such as Sherritt International Corp., Goldcorp, KGHM International, Sierra Gorda S.C.M., KMC Mining, Rio Tinto Technology & Innovation, IAMGold, Freeport McMoRan Copper & Gold, Alcoa, Syncrude, Suncor, Cambior, Inco, was a council member of the Canadian Institute of Mining, Metallurgy, and Petroleum and currently is the Leader of the Integrated Operations Working Group for Global Mining Standards and Guidelines Group. 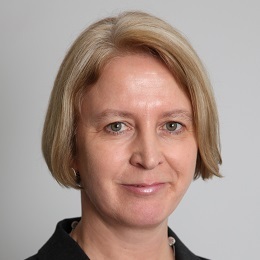 Krystyna Dawson is Director at BSRIA Inc. / US and at BSRIA Consultancy / China, General Manager at BSRIA Ltd Worldwide Marketing Intelligence and is in charge of global market research and consultancy at BSRIA Ltd. 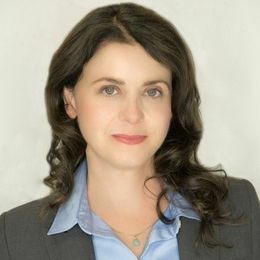 Prior to joining BSRIA Krystyna has worked as Regional Managing Director for Eastern Europe at Harlequin Enterprises (Torstar Corporation) and as Publishing Director at Gruner & Jahr Verlag (Bertelsmann Media). Krystyna holds MA at Roman Philology from Jagiellonen University (Krakow/Poland) and speaks fluent French, German, English and Polish. She has completed a post graduate course on International Trade and Business at the Economy University in Vienna/Austria. Krystyna Dawson, Director BSRIA Inc / US & at BSRIA Consultancy / China BSRIA Ltd Worldwide Marketing Intelligence Responsable Investigacion de Mercado y Consultoria en Bsria. Antes de unirse a BSRIA Krystyna trabajo como manager regional de Europa del Este para Harlequin Enterprises (Torstar Corporation) y como directora de publicación en Gruner & Jahr Verlag (Bertelsmann Media). Licenciada en Filología Romana por la Universidad Jagiellonen (Krakow/Poland) nivel fluido en Frances, Aleman, Ingles y Polaco. Post-grado en International Trade and Business at the Economy University in Vienna/Austria. 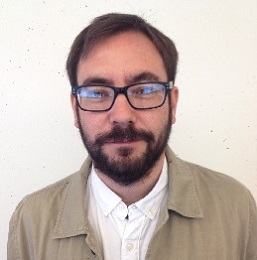 Richard Collins, PhD, is a technology analyst at IDTechEx. IDTechEx provides independent market research, business intelligence and events on emerging technologies to companies across the value chain. Richard works within their advanced materials division and has a specific focus on emerging lightweight technologies. Richard’s work has included producing interview-based company profiles, authorship of several IDTechEx reports, keynote and masterclass presentations at international conferences, and delivering custom consulting projects for billion-dollar companies. Richard was awarded his PhD in Inorganic Chemistry at the University of Oxford. He worked on the design and synthesis of organometallic catalysts as part of an international industrial collaboration concerning the production of elastomers. 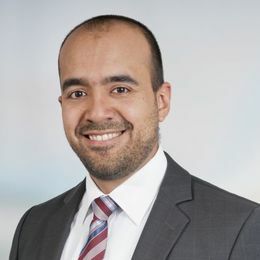 Dr Luis Tercero is head of the Business Unit Systemic Risks and coordinates all work related to materials and raw materials at the Fraunhofer Institute for Systems and Innovation Research ISI in Karlsruhe, Germany. 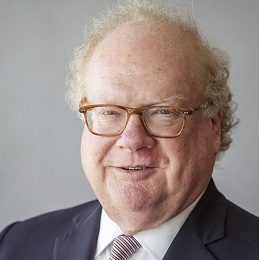 Starting 2009, he has managed or been actively involved in a variety of projects (German, EU, Industry) related to critical raw materials, raw material supply and demand, changing demand through emerging technologies, dynamic modelling of material flows, raw materials policy and resource efficiency. He received his formal training as a chemical engineer (B.Sc., M.Sc., Dr.-Ing.) in Nicaragua, U.S.A. and Germany. El Dr. Tercero Espinoza maneja la Unidad de Negocios Riesgos Sistémicos y coordina los trabajos sobre materiales y materias primas en el Instituto Fraunhofer para la Investigación de Sistemas y de la Innovación ISI en Karlsruhe, Alemania. Desde el 2009 ha manejado o contribuido a diversos proyectos (alemanes, europeos, para la industria) relacionados con materias primar críticas, suministro y demanda de materias primas, cambio en la demanda por nuevas tecnologías, modelos dinámicos de flujos de materiales, y políticas y eficiencia en el uso de materias primas. Estudió ingeniería química (licenciatura, maestría, doctorado) en Nicaragua, EEUU y Alemania. Lisa Jerram is a principal research analyst at Navigant Research where she heads up the Transportation Efficiencies research service. She analyzes emerging markets for new vehicle technologies for cars, trucks and buses; electric vehicle charging equipment; innovative urban mobility solutions such as on-demand mobility; and fuel cells and hydrogen infrastructure. Lisa has over 20 years of experience analyzing the market potential of advanced transportation technologies, with her work being used by governments and the private sector to determine market potential, barriers and drivers across a range of new technologies. Dr Dmitri Tsentalovich is the COO and co-founder of DexMat. He holds a PhD in Chemical Engineering from Rice University, where his research focused on studying the fluid properties of carbon nanotube (CNT) solutions in chlorosulfonic acid in order to improve the strength and conductivity of acid-spun CNT fibers. He has authored over 25 scientific publications, which have been cited over 1500 times. As COO of DexMat, Dr Tsentalovich has helped his company secure SBIR awards from the U.S. Air Force, NASA and NSF. He was recognized in the Forbes 30 Under 30 list for the Manufacturing/Industry category in 2016. Since then, Dr Tsentalovich has worked on production improvements and scale up of CNT-based conductors and coatings for EMI cable shielding applications. Nelson Pizarro holds a degree in civil mining engineering and has been practicing his profession for 48 years. He has led many important mining projects in Chile throughout his career, both in the private and public sector. Mr Pizarro’s management focuses on the maximization of asset income by means of continuous process improvement and the contribution of people; a strong emphasis on the control and assurance of operational risks in the production processes and the promotion of understanding with unions and communities, close to mining operations. Before assuming the leadership of CODELCO Chile, he was in charge of the design, construction and start-up of the Caserones Project, as President and General Manager of SCM Minera Lumina Copper Chile. Harry M. (Red) Conger is president and chief operating officer - Americas, and is responsible for management of the company’s North and South America copper mining operations, and Climax Molybdenum Co. This includes nine mining operations in North America, two in South America, and the associated downstream processing facilities. These operations employ more than 18,000 people and have annual copper production of 2.8 billion pounds and annual molybdenum production of 91 million pounds from mines operated by Freeport-McMoRan. He also has environmental and corporate social leadership responsibilities in North and South America. Mr Conger has 40 years of mining industry experience with Freeport-McMoRan and its predecessors and is considered a leader in safety, change management and production efficiency. Harry M. (Red) Conger es presidente y director de operaciones - Américas, y es responsable de la administración de las operaciones mineras de cobre en América del Norte y América del Sur, y Climax Molybdenum Co. Esto incluye nueve operaciones mineras en América del Norte, dos en América del Sur y las instalaciones de procesamiento posteriores asociadas. Estas operaciones emplean a más de 18,000 personas y tienen una producción anual de cobre de 2.8 billones de libras y una producción anual de molibdeno de 91 millones de libras de minas operadas por Freeport-McMoRan. También tiene responsabilidades de liderazgo social ambiental y corporativo en América del Norte y del Sur. Señor Conger tiene 40 años de experiencia en la industria minera con Freeport- McMoRan y sus predecesores, y es considerado un líder de seguridad, gestión del cambio y eficiencia productiva. Arnaud Soirat was appointed chief executive, Copper & Diamonds in July 2016. 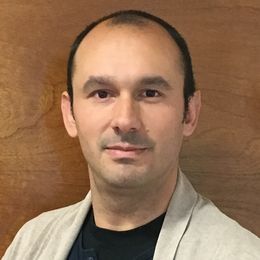 Arnaud has almost 25 years’ experience in the metals and mining industry and a wealth of operational and commercial experience gained in various technical and commercial roles, working across three continents North America, Europe and Australia. excellence. 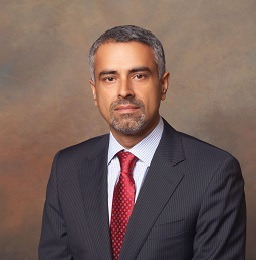 He joined Rio Tinto in 2010 as chief operating officer, Primary Metal, Europe, Middle-East & Africa. Pechiney in both Australia and Europe. Civil Engineer of Mines, with more than 20 years of experience in the mining industry. - General Manager of Los Pelambres. - Vice President of Operations of Antofagasta Minerals. - and since 2013 he is the Executive President of the Compañía Minera Doña Inés de Collahuasi. Ingeniero Civil de Minas, con más de 20 años de experiencia en la industria minera. -	Gerente General de Los Pelambres. -	Vice Presidente de Operaciones de Antofagasta Minerals. -	y desde el 2013 es el Presidente Ejecutivo de la Cía. Minera Doña Inés de Collahuasi. Hennie fue nombrado Presidente Ejecutivo Cobre en Anglo American en octubre de 2013. Tiene más de 30 años de experiencia en la industria de recursos minerales con una amplia trayectoria operacional y técnica adquirida en diversos roles en los cinco continentes. Se unió a Anglo American en 2004 y ha ocupado diversos puestos directivos, incluidos el de Consejero Delegado Zinc, Jefe de Minería del Grupo y Gerente General de Lisheen Mine en Irlanda. Antes de eso, ocupó varios cargos técnicos y operativos en BHP y compañías contratistas de la minería. Hennie tiene el título de Bachelor of Mining Engineering de la Universidad de Pretoria, Sudáfrica. Vanessa Davidson is manager of CRU's Copper and Wire and Cable teams. 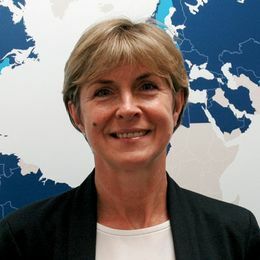 She has over 20 years' experience in evaluating a range of metal markets, including lead, zinc, aluminium, nickel, stainless steel, ferrochrome, and more recently copper. During her time at CRU, Vanessa has managed many marketing studies, cost reports and project feasibility studies. She has also given frequent papers at international conferences. 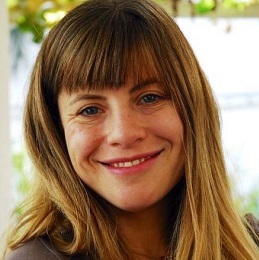 Alejandra Wood is a historian of the Pontificia Universidad Católica de Chile. For more than a decade, she was the External Affairs Manager of BHP Billiton after which she became manager of Scotiabank's corporate affairs and CSR division. Until October 2015, she was executive director of the Gabriela Mistral Cultural Center (GAM), a position she held for five years. 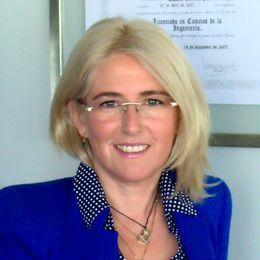 She currently holds the position of executive director of the Center of Copper and Mining Studies (CESCO), a non-profit organization based in Chile, which has been acting as the forum of discussion for the future for copper industry, involving various important stakeholders for more than 30 years. She is member of the board of Ciudad Emergente, Beethoven Foundation and Mustakis Foundation and member of the Icare Innovation Circle. She is also counsel fo Comunidad Mujer. In the year 2010 she was highlighted for her management skills, in the annual balances of Revista Qué Pasa, La Segunda newspaper and Paula magazine. In 2007 and 2013 she was included in the 100 Women Leaders of Chile, recognition given by the newspaper El Mercurio and in 2012 she received the Women's Energy award for her work with the community. Historiadora de la Pontificia Universidad Católica de Chile. Por más de una década se desempeñó como gerenta de Asuntos Externos de BHP Billiton. Fue gerenta de la división de Asuntos Corporativos y RSE de Scotiabank. Hasta octubre de 2015 fue directora ejecutiva del Centro Cultural Gabriela Mistral (GAM), cargo que ejerció durante cinco años. Actualmente ocupa el cargo de directora ejecutiva del Centro de Estudios del Cobre y la Minería (CESCO), organización sin fines de lucro que ha actuado como un foro de discusión en torno al futuro de la minería del cobre en Chile y la región, involucrando a varios stakeholders relevantes por más de treinta años. Es miembro del directorio de Ciudad Emergente, Fundación Beethoven y Fundación Mustakis y miembro del Círculo de Innovación de Icare. Además es consejera de Comunidad Mujer. El año 2010 fue destacada por su gestión, en los balances anuales de Revista Qué Pasa, diario La Segunda y Revista Paula. Los años 2007 y 2013 fue incluida entre las 100 Mujeres Líderes de Chile reconocimiento entregado por el diario El Mercurio y en 2012 recibió el premio Energía de Mujer por su trabajo con la comunidad. 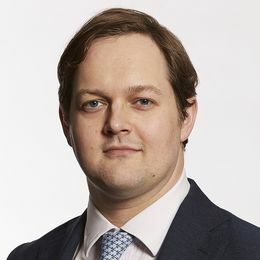 Matthew joined the LME in November 2012 having advised HKEX on the acquisition of the LME while heading European financial technology coverage at UBS. Previously, he was a founding member of the financial institutions coverage team at Perella Weinberg. He started his career at Citibank. Matthew holds an MA from Cambridge University. Paige Wilson is a Senior Vice President at Bechtel with 35 years of global experience in the Mining and EPCM industries. Graduated from Queens University with a Mineral Processing degree and a Master of Business Administration, Paige started his career in operations at the Noranda Schumacher Mines in Ontario, Canada. Since 1996, Paige has been dedicated to developing Bechtel's mining business in Latin America, including Las Bambas, where he was responsible for the EPC execution of this 140,000 tpd Peruvian copper project located at an elevation of 4,200 m. Paige is currently the President of Bechtel Mining & Metals and responsible for the global aluminum/alumina, copper and bulks material handling business sectors. Paige Wilson es Senior Vice President de Bechtel y cuenta con 35 años de experiencia global en minería e industrias EPCM. Graduado de la Universidad de Queens con un grado en procesos de mineral y un MBA, Paige inició su carrera en las operaciones de las minas Noranda Schumacher en Ontario, Canadá. Desde 1996, Paige se ha dedicado al desarrollo de proyectos mineros de Bechtel en América Latina, incluyendo la ejecución del proyecto peruano EPC de 140,000 tpd de cobre ubicado a 4200 metros de altura. Paige es actualmente Presidente de la unidad de negocios de Minería y Metales, responsable global de los sectores de negocios de aluminio/alumina, cobre y bulks material handling. Max Luedtke, Vice President at ABB Process Industries, Switzerland, Head of Global Product Group Mining Aluminium Cement. 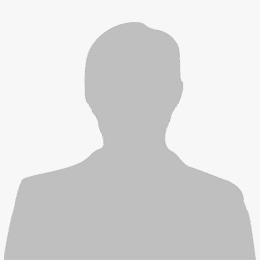 He has gathered many years of experience in several process industries. Before he joined ABB in 1998, he was a project engineer and later project manager in different process industries in Alfa Laval. Max started working for ABB Switzerland in different areas such as project engineering, operations and sales. Later he became Local Business Unit Manager and responsible for ABBs Mining and Minerals operations in Sub Saharan Africa, based in South Africa, before returning to Switzerland. Max Luedtke obtained a Ms.S. degree in electrical engineering at the Institute of Technology of the University of Lund, Sweden. He has later supplemented this with an Executive MBA from University of St. Gallen in Switzerland. Nick Bell is responsible for Mining, Minerals and Technology sales, business development and key client relationship management at Jacobs. 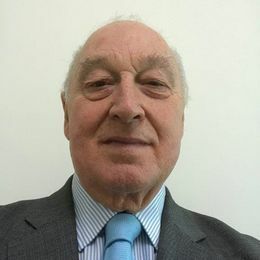 Based in Brisbane, Australia, Nick has over 35 years’ experience in the mining and minerals industry across Africa, North and South America and Australasia. 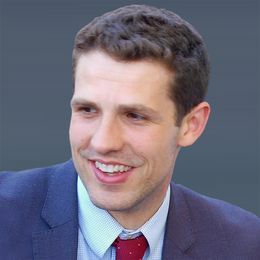 By leading and developing global operations and sales teams Nick has been able to deliver outstanding value for both clients and shareholders through technical and commercial innovation. He has extensive experience in strategy development for sustainable growth and finding differentiated service offerings that sets teams apart. Francisco Javier Lecaros es Administrador Público. MBA en Dirección y administración de empresas de la Universidad de Negocios de Barcelona. Experiencia, en políticas públicas y dirección de negocios, gestión comercial y relaciones institucionales a nivel nacional y LATAM. Ha colaborado como director de negocios de una compañía de origen Sueco para la innovación en el sector minero y energético. Director de asuntos corporativos y ambientales en Minera CPCAL con sede Vallenar y Santiago, donde me ha correspondido ejecutar la agenda de sostenibilidad de la compañía y las estrategias de RSE. Realice mi memoria y tesis desarrollando un estudio sobre el proceso de compras públicas. Participación como socio de la Asociación de emprendedores de Chile. Asesor en materias de innovación, competencias para el emprendimiento, asuntos corporativos y vinculación con el medio. Conferencista en habilidades vitales y emprendimiento en DUOC UC. Actual Presidente Ejecutivo de la Fundación Minera de Chile, institución que tiene como misión la transferencia de información y educación de la minería a la ciudadanía para la generación de valor compartido. Juan Pablo Armisén is a social and environmental specialyst with over 13 years of experience. He has a Bachelor's Degree in Geography and a Master's Degree in Residential Homes, University of Chile. Postgraduate student in Social, Economical and Territorial Evaluation. Postgraduate and undergraduate degree professor. Author of publications addressing environmental and social impacts studies, indigenous public consultation, OIT's Convention N° 169, among other things. In the private sector, he has developed and led numerous consulting services as a Project Manager related to Social and Environmental studies for Mining, Energy and Infrastructure areas. In the public sector, he has led the Department of Citizen Participation under the Environmental Assessment Service (SEA), and managed the Human Group Lifestyles Supervisation Area belonging to the Enviromemental Superintendency (SMA). 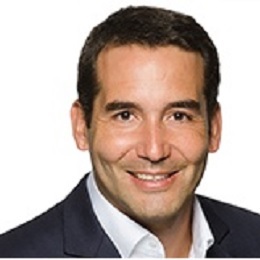 Currently he is the Global Accomplishment and Corporate Responsibility Head at Albemarle, whose main role is to watch for the strategical relationship between the company and its stakeholders, and strenghten human links. 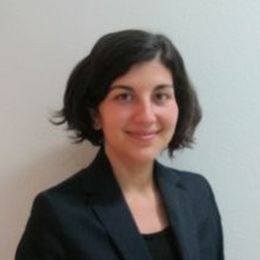 Reinalina Chavarri has a sociology degree and is a political scientist from the Complutense University (Spain). She also has a post degree in International Studies from the University of Chile. She has directed numerous initiatives in the field of CSR. She coordinated the Leadership Program for Sustainable Development in MERCOSUR (1999-2001). Ms Chavarri is co-founder and former Assistant Executive Director of the PROhumana Foundation (1998 -2005). She has published several books and opinion articles on the topic of CSR, Ethics and Sustainable Development Strategies. She was Advisory in the Foreign Investment Committee (2006-2008) of the Chilean Government. She has directed important consultancies to companies in Latin America and Governments as a consultant from the UNDP. She currently teaches Business Ethics and Sustainability in MBAs and directs the Observatory of Sustainability of the Dept. of Business Administration of the Faculty of Economics and Business of the University of Chile and is a Principal Partner of AxisRSE S.A.
Andrés es periodista de la Universidad Diego Portales y, a lo largo de su carrera, se ha desempeñado en el ámbito de asuntos públicos en diversas industrias, principalmente la minera y forestal. En los últimos años, ha ocupado diversos cargos ejecutivos en este ámbito. Fue gerente de Asuntos Corporativos de XstrataCopper y, antes de asumir la gerencia corporativa de Antofagasta Minerals, fue gerente de Asuntos Públicos de Minera Los Pelambres. Desde su llegada a Antofagasta Minerals, ha diseñado y desplegado programas de relacionamiento territorial a través de alianzas público-privadas. Somos Choapa, programa que se desarrolla en la Región de Coquimbo, ha sido reconocido como práctica líder en gestión territorial por la Red Pacto Global y por su contribución a los Objetivos de Desarrollo Sostenible por Columbia Center on Sustainable Investment de la Universidad de Columbia. Master in Local Development of the University of Trento, Italy. Social Worker of the Pontificia Universidad Católica de Chile. Latin American Diploma in Decentralization and Local-Regional Development, in Community Relations for the extractive industry and in Entrepreneurship and Innovation. Ontological Coach, certified by Newfield Network. Consultant, researcher and rapporteur on family-work reconciliation issues, labor insertion and leadership of social programs of community intervention. Supervisor and rapporteur of the leadership development program for more than 2,500 entrepreneurs in the Peñalolén district. She currently serves as Manager of Community Dialogue and Social Investment, of Minera Candelaria, located in the Atacama Region. Magister en Desarrollo Local de la Universidad di Trento, Italia. Trabajadora Social de la Pontificia Universidad Católica de Chile. Diplomado Latinoamericano en Descentralización y Desarrollo Local-Regional, en Relaciones comunitarias para la industria extractiva y en Emprendimiento e innovación. Coach Ontológico, certificado por Newfield Network. Consultora, investigadora y relatora en temas de conciliación familia-trabajo, inserción laboral y liderazgo de programas sociales de intervención comunitaria. Supervisora y relatora de programa de desarrollo de competencias de Liderazgo a más de 2500 emprendedores de la comuna de Peñalolén. Actualmente se desempeña como Gerenta de Diálogo Comunitario e Inversión Social, de Minera Candelaria, ubicada en la Región de Atacama. 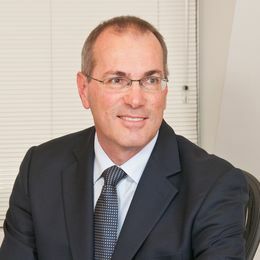 Stephen Gill is a Managing Partner at Pala Investments Ltd. Mr Gill has been at Pala since 2008, during which time he has been involved in many of Pala's principal investments covering a range of commodities, as well mining services and consumables sectors. He has also supported many of Pala's investee companies in defining and implementing strategic initiatives. He is also involved in the oversight of Pala's liquid investment strategies portfolio. 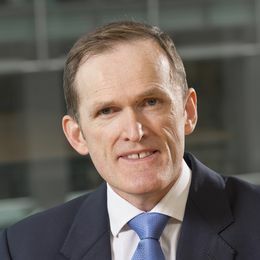 Prior to joining Pala, Mr Gill was at AMEC Plc., an engineering consulting firm, where he advised on a range of natural resources transactions, and acted as an advisor across a range of private equity transactions, including investments in businesses spanning mining, metals processing, and mining consumables manufacturing industries. Mr Gill has acted as a director on a number of private and public mining company boards. Stephen Gill es socio director en Pala Investments. Desde su ingreso a la compañía en el 2008, el Sr. Gill ha liderado varias de las principales inversiones del fondo en diversos proyectos mineros y empresas de servicios al sector. El Sr. Gill también se encuentra a cargo de la definición e implementación de las estrategias de varios de los proyectos de la cartera de inversión, así como de la gestión de la estrategia de inversiones a corto plazo. Antes de integrarse al equipo de Pala, Stephen era parte de AMEC, una consultora de ingeniería en la que se desempeñó brindando asesorías en inversiones de capitales privados enfocadas en minería, procesamiento de metales, y consumibles para la industria. El Sr. Gill ha sido parte del directorio de diversas empresas públicas y privadas en el sector. Duncan Hobbs brings over 25 years of experience to his London-based role as director of market research for all non-ferrous metals and related materials, including copper, traded by Concord Resources Ltd. Previously he managed a team of four senior staff responsible for non-ferrous metals and bulk commodities market research at Noble Group, based in Singapore. 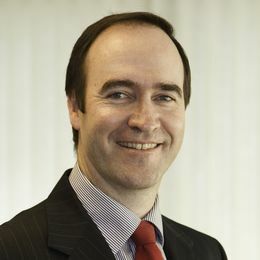 Underlying these positions with physical traders, Duncan’s previous experience includes commodities market research and business development roles in financial services with Macquarie Bank; mining and metal production with Nyrstar; engineering services with Hatch; and independent research with CRU, where he was a member of the steel team. He began his career in dry bulk shipping market research with Drewry in London. 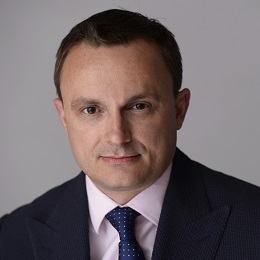 Peter Archbold is a London-based senior director of Fitch Ratings Ltd and is responsible for Fitch’s mining, steel, chemicals and oil & gas coverage in Europe, the Middle East, and Africa. He also has direct analytical responsibility for a portfolio of metals and mining names including BHP Billiton, Rio Tinto, Anglo American, ArcelorMittal, ThyssenKrupp and Norilsk Nickel. 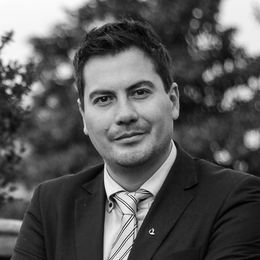 Prior to joining Fitch in 2006, Peter worked for National Australia Bank in Australia and nabCapital in the UK in a variety of credit analysis, relationship management and project finance roles with a focus on the mining and steel sectors. Earlier in his career he also worked for AMP Capital and Goldman Sachs in Australia. 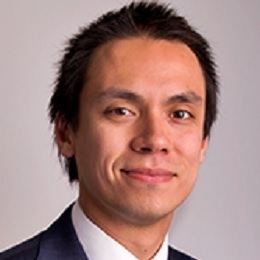 Peter graduated from La Trobe University and Monash University with degrees in Accounting and Economics. He is a CFA Charterholder, a Senior Fellow of the Financial Services Institute of Australasia and a member of the Association of Mining Analysts (UK). Peter actively assists the Institute of Chartered Accountants in England and Wales in the development of accounting standards for companies in extractive industries. He has also been a guest lecturer at the London School of Economics. Dr Wyrsta received his PhD in Materials from UC Santa Barbara and has been a part of several start-up ventures. He has served as a senior member of GRT, Inc. His duties included the continued development of novel materials and catalysts for the conversion of natural gas to liquid fuels and other chemicals. As the senior chemist, Dr Wyrsta directed GRT's R&D efforts for a number of customers in the chemical and petroleum businesses. 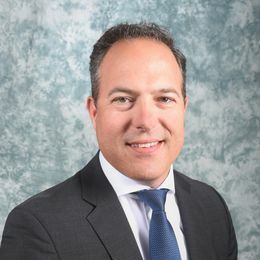 Prior to his work at GRT Dr Wyrsta had served as the CTO of SBA Materials, establishing strategic business contracts, guiding intellectual property development and breaking new ground in solid-state composite materials for the electronics, photonics and pharma industries. Philippe Blostein is a metallurgical engineer. In 1985, he started as a Metallurgical Quality Control Engineer with Renault in Mexico. In 1987, he joined Air Liquide as a R&D Engineer in the Metals Group. From 1991 to 1995, he was Technical Department Manager at Cryolor, Air Liquide’s cryogenic equipment manufacturing subsidiary. From 1996 to 2000, he was International Market Manager for the Electronic Assembly market. He subsequently held several commercial positions within the Air Liquide Group for industrial customers. Since 2006, he has been Metals Marketing Director for the global Large Industries Business Line. Mr Blostein is an Air Liquide International Senior Expert. Philippe Blostein es ingeniero metalúrgico. En 1985, empezó su carrera como ingeniero de calidad con Renault en Mexico. En 1987, entró en Air Liquide como ingeniero de investigación y desarrollo en el Grupo de Metales. Entre 1991 y 1995 fue Jefe del Servicio Técnico de Cryolor, filial de Air Liquide para construcción de equipos criogénicos. Entre 1996 y 2000, fue Jefe de Mercado Internacional para Montaje Electrónico. Después ocupó varias posiciones comerciales dentro del Grupo Air Liquide con clientes industriales. Desde 2006, es Director Marketing Metales para Grandes Industrias. Philippe es un Experto Senior Internacional Air Liquide. Volker Muetze holds a Master of Science in Mining (TU Clausthal, Germany). 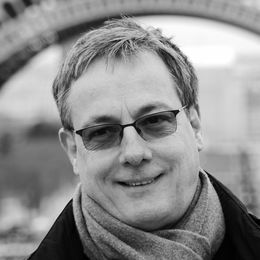 He started working with Air Liquide S.A., Paris, France, in 1989 as Marketing Expert. During his career he especially was in charge of business development for the supply of industrial gases to larger consumers; he lived in various European countries and held also responsibilities as General Manager. 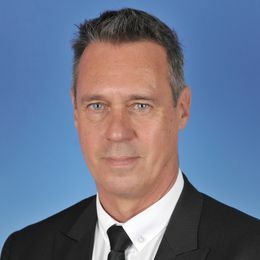 Since early 2017 Volker Muetze is responsible for the business development in the metallurgical market for Air Liquide Engineering & Construction S.A., Paris, France, with special interest in applications in the non-ferrous industry. Volker Muetze es Ingeniero de Minas (TU Clausthal, Alemania). Su trabajo con Air Liquide S.A., París, Francia, comenzó en 1989 como experto en Marketing. Durante su carrera, él trabajó principalmente en desarrollo comercial para suministros de gases industriales para grandes clientes; vivió en varios países europeos él también tuvo responsabilidades como Director General. Desde el principio de 2017 Volker Muetze es responsable del desarrollo de negocios en mercado metalúrgico para Air Liquide Engineering & Construction S.A., París, Francia, con especial atención en las aplicaciones de la industria non-ferroso. 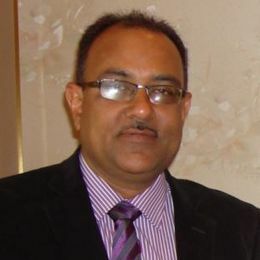 Anil Kumar Singh, Head – Operations (Smelter-3), graduated in Metallurgical Engineering from BIT Sindri, Dhanbad, India in 1991. He has 26 years of professional experience with 23 years in pyrometallurgical extraction of copper. He is exposed to 3 technologies of copper making namely Outotec, Ausmelt and Mitsubishi . Mr Singh was instrumental in erection, commissioning and stabilization of 250 KT Smelter of Hindalco Industries Limited, which is based on Mitsubishi technology of Japan. He innovated new environmental friendly practice which resolved chronic converting furnace related issues and increased plant productivity. Mr Singh attended many national and international conferences and presented technical papers. José Joaquín Jara is an industrial and mining engineer, holds a MSc mineral economics and is finishing a PhD in economic geology. He has more than 10 years of professional experience in government offices, private companies and the academia, all related to the mining industry. Currently Mr Jara is Assistant Professor of the Mining Department at the Pontificia Universidad Católica de Chile and he is member of the board of the Centro de Estudios del Cobre y la Minería (Cesco), the most renowned think tank related to the mining industry in Latin America. His areas of expertise are mineral economics, technical and economic evaluation of mining projects and economic geology. José Joaquín Jara es ingeniero industrial y de minas, con una MSc en economía de minerales y un PhD en geología económica en curso. Cuenta con más de 10 años de experiencia profesional en cargos en el gobierno, empresas privadas y academia, todos relacionados a la industria minera. Actualmente, Sr. Jara es Profesor Asistente en el Departamento de Minería de la Pontificia Universidad Católica de Chile y miembro del directorio del Centro de Estudios del Cobre y la Minería (CESCO), el Think Tank de mayor renombre en la industria minera en Latinoamérica. Sus áreas de experticia son la economía de minerales, evaluación técnica y económica de proyectos mineros y geología económica. 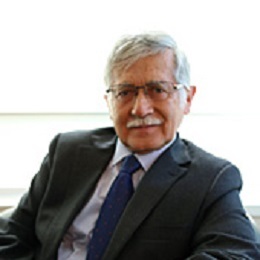 Chief Executive Officer, Compania Minera Antamina S.A.
Abraham Chahuan is President and Chief Executive Officer of Compañía Antamina S.A., the leading mining company in Peru and one of the most important copper producers in the world. 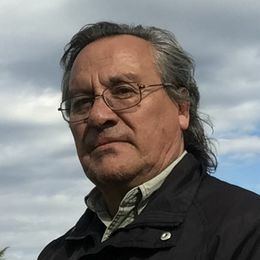 Mr Chahuan is a Metallurgical Engineer graduated from the Universidad Nacional San Agustin in Arequipa - Peru, and holds a Master Degree in Metallurgy by the Universidad Politecnica de Madrid.Mr Chahuan has over 30 years of experience in the mining sector. In 2012 he was selected as one of the Top 3 Peruvian Chief Executives among the 50 Best Performing CEOs in Latin America by the prestigious publication Harvard Business Review. In 2013 Mr Chahuan presided the Organization Committee of PERUMIN – 31st Mining Convention, the most specialized mining event in Peru which enjoys recognition at both national and regional levels. 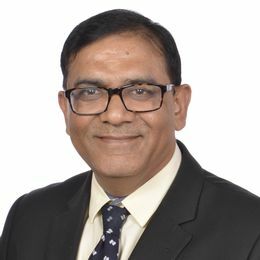 A Fellow Chartered Accountant (FCA) by qualification, Mr Laddha has over three decades of varied and rich experience with over 25 years with the Aditya Birla Group - a Global conglomerate. Mr Laddha has spent most of his career in the commodity segments like oil, Aluminium & Copper. Mr Laddha has been the CEO - Copper Business - Hindalco Industries Limited (a USD 18 Billion company) since 2014. He is Vice President of ‘Indian Primary Copper Producer’s Association’ (IPCPA) and in this role he is closely working with Government of India on policy related issues. Mr Laddha has written extensively in many publications in India and has presented many papers in national / international conferences. He is a Director in ‘Fertilizer Association of India’ (FAI) Delhi and also in Indian Copper Development Centre( ICDC) Kolkata. Mr Laddha has also just been inducted (March ’18) in the “LME Copper Committee, London as a committee member. 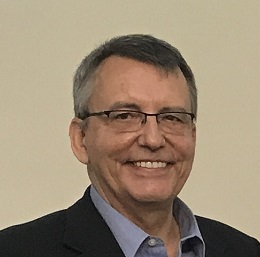 Michael Lion is the President of Lion Consulting Asia Ltd., a company that formerly consulted to Sims Metal Management Ltd for 18 years, where he served as Chairman of Sims Metal Management Asia. His fifty year career focused primarily on the global sourcing, marketing and trading of nonferrous scrap. A pioneer of China and Asian markets consumption of scrap in 1970s, he held roles such as executive, principal and is a former owner of both international scrap, prime trading and LME ring-dealing organizations. Mr Lion currently serves as chairman of the BIR International Trade Council, (I.T.C.) and as a member of its Advisory board. George Q. Fang, with a PhD degree in Mineral Engineering, is a professor-level senior engineer who holds the business license granted by the Securities and Futures Commission of Hong Kong. Before joining Zijin in May 2015, Mr Fang had acted as the Director of Mineral Engineering Research Institute of BGRIMM, CTO and Managing Director of Business Development Dept. of China Minmetals Non-ferrous Metals Co., Ltd. as well as Vice Chairman and Head of Mining and Metals Coverage, Asia of Standard Bank Asia Ltd. 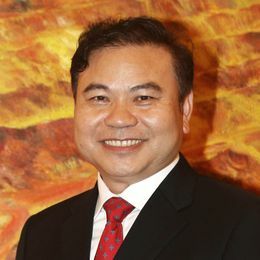 Currently, Mr Fang serves as the Executive Director and Senior Vice President of Zijin Mining Group. Juan Esteban joined CRU in 2006 after six years as Assistant Vice President at Citigroup Chile within the Metals and Mining group, performing risk analysis for the main Chilean mining companies for financial transactions. Since joining CRU Consulting, Juan Esteban has been involved in developing methodologies to quantify and mitigate risks in mining and mineral processing operations, as well as in market due diligence for Copper, Iron Ore and Fertilizers. Since 2009, Juan Esteban is the Office Manager of CRU Chile. Juan Esteban holds a BSc in Industrial Civil Engineering from the Catholic University of Chile and is fluent in English and Spanish. Tom Brouwers has a Master degree in Mechanical and Electro-technical Engineering from the KUL (University of Louvain, Belgium). He joined the company in 1996 as a project engineer, followed by different positions as production engineer and DynaWave project manager. In his current role, Mr Brouwers is the MECS-DuPont Product manager for Sulfuric Acid Plants and Catalyst for the EMEA region. Matthew Viergutz, currently MECS Vice President of Licensing, started with MECS in 1998 and worked as a Process Engineer for 2 years. Since 2001 he has held various global marketing roles for MECS and was responsible for growing both the MECS spent acid regeneration and HRS technologies in the 2000s. From 2010 to 2014 Mr Viergutz was based on Hong Kong and Shanghai, serving as MECS’s Asia Pacific Business Director. In 2014 he returned to the USA and now has global responsibility for MECS’s sulphuric acid licensing business. He has Bachelor Degrees in both Chemistry and Chemical Engineering and a Master’s Degree in Business Administration, all from Washington University in St. Louis, USA.